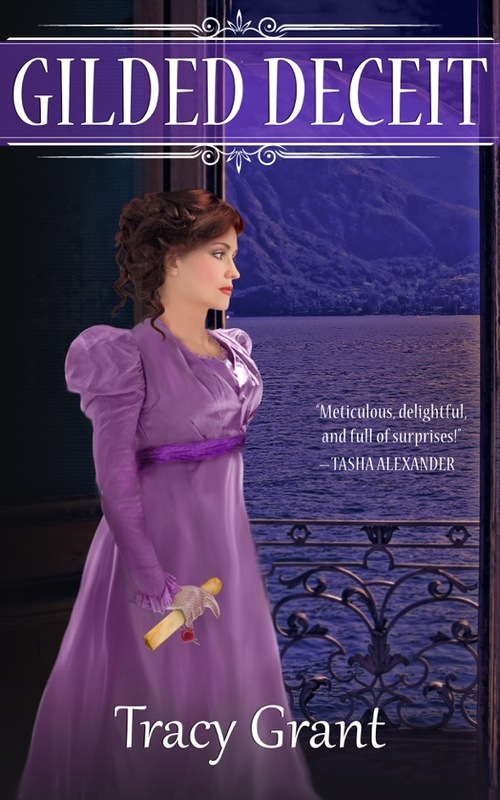 The last full novel in Malcolm and Suzanne Rannoch historical mystery series, London Gambit, ended with the "series game-changer" of Malcolm and Suzanne and their family fleeing Britain because of Suzanne's past as a French spy. It was a plot twist I'd had in mind for a long time in the series, but even as I wrote London Gambit, I dithered. I felt guilty about putting my characters through so much. I wondered if I was writing myself into a corner. At the same time I was really excited about the possibilities their leaving Britain opened up for the series. When London Gambit ends, the Rannochs are planning to take refuge at Malcolm's villa on Lake Como. The next novel, Gilded Deceit, (which will be released May 15) finds them (after a stop in Switzerland to see Suzanne's friend Hortense Bonaparte) arriving at this exquisite setting in August of 1818. 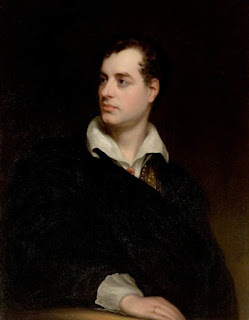 When I sat down to research and plot Gilded Deceit, I realized that Percy and Mary Shelley also traveled to Italy in 1818, and that Lord Byron was already there. In book which thematically in many ways is about exiles and ex-patriates, I couldn't resist including the Shelleys and Byron in the story. Byron's former lover, Lady Caroline Lamb, has already been part of the series. I spent a lot of time trying to plot Gilded Deceit around the Shelleys' and Byron's actually chronology. But the over all chronology of the series and some developments with secondary characters locked me into a certain timeline. So in the end, I confess, I took shocking liberties with Lord Byron's and Percy and Mary Shelley's chronology in Italy in the summer of 1818. 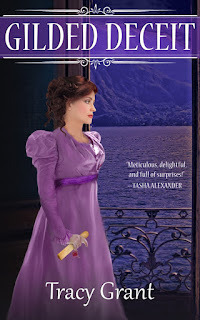 Percy and Mary traveled to Italy in the spring of 1818 with their two young children William and Clara, Mary's stepsister Claire Clairmont, and Allegra, Claire's child by Lord Byron. The plan was to take the little girl to Byron, who had agreed to raise her. Claire was very conflicted about this, but she was single and penniless. Maintaining a fiction about Allegra's birth was getting challenging and if it became known that she was Claire's illegitimate child, it would be difficult for Claire to find employment. Percy and Mary visited Lake Como soon after their arrival with the idea of taking a villa there for the summer and inviting Byron to join them. But Byron preferred to remain in Venice, and in the end the Shelleys, their children, and Claire spent time in Milan, from whence Claire tearfully sent baby Allegra to Venice to live with Byron. The Shelleys and Claire then traveled south, stopped for a month in Livorno, and spent the summer in the spa town of Bagni di Luca, in the Apennine Mountains. On 17 August, Percy and Claire left for Venice to try to see Allegra. They found Byron in an agreeable mood. He offered the Shelley party the use of his villa at Este for the summer where Claire could spend time with Allegra. The only problem was that Percy had told Byron Mary was with them, so that Byron, who could be surprisingly puritanical, wouldn't be shocked at Percy and Claire traveling alone. Percy wrote to Mary that she needed to join them at Este at once with the children. Their baby daughter, Clara, already ill, worsened on the journey. Mary and Percy took her to a doctor in Venice, but by the time Percy brought the doctor to the inn where Mary was with the baby, Clara was dying. In Gilded Deceit, I have the Shelleys and Byron in Milan over at least part of the summer, so they can meet some other characters in the book with whom their connection later becomes significiant. I have also moved Clara's death back about a month from the end of September to the end of August. And rather than Percy and Mary spending time in Este and Venice after Clara's death, I have the Shelleys go to Lake Como, accompanied by Lord Byron. I agonized, as I always do, when changing historical facts. But all three characters add an immeasurable amount to Gilded Deceit. Both the novel and the Rannochs benefit from their presence. How do you feel about authors changing historical chronologies? Writers, how do you approach such situations yourselves? 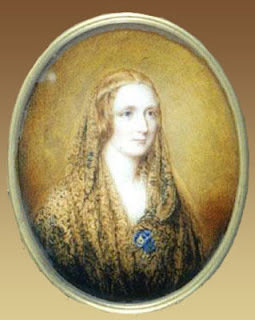 For further reading about Mary and Percy Shelley and Lord Byron, I recommend Miranda Seymour's Mary Shelley (New York: Grove Press, 2002); Florence A. Thomas Marshall's The Life and Letters of Mary Wollstonecraft Shelley, Volume I (London: Richard Bentley & Son, 1889); Daisy Hay's Young Romantics: The Tangled Lives of English Poetry's Greatest Generation (New York: Farrar, Straus and Giroux, 2010); and Benita Eisler's Byron: Child of Passion, Fool of Fame (New York: Alfred A. Knopf, 1999). I'm generally ok with changing historical events slightly, if they are minor, and if they are explained in the author's notes. Often, the author's note send me down a delightful rabbit hole of research and reading.